A quest is a journey of discovery. 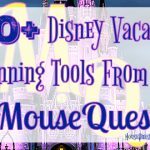 Here at the MouseQuest we help guide you on the quest for the perfect Disney vacation. 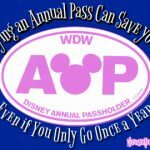 However, Disney vacations don’t begin the moment your feet hit Disney property. They begin months, even years, before, when your Disney vacation is just a wish… a hope… a dream. 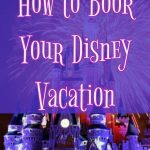 For a few lucky people, Disney vacations can be planned, paid for and executed in a short period of time. For the rest of us poor unfortunate souls, we have to save and plan and plan and save. 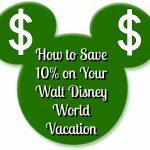 We start years ahead of our vacation saving money and planning the vacation of a lifetime because we never know when we are going to be back again. And even when we do come home from our MAGICAL vacation, we return a little different then we left. We come home dreaming big, trusting that our fate lives within us, listening to our heart, knowing that adventure is out there and, most importantly, believing a dream that you wish will come true. 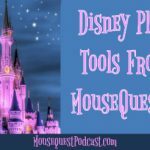 In that vein, we are going to broaden our scope on the MouseQuest and add content outside the Disney bubble. Content, we hope, will help you live that Disney-fied life outside of Disney. Whether it’s money savings ideas, recipes ideas, organization skills, homemaking tips, anything that will help us in this journey of discovery we call life! We hope you will follow along with us on this quest. Who knows, maybe, just maybe, we will discover that Disney is less a metaphor for life and more a way of life. I love this podcast and I am excited to see what other great news you come up with! Thank you so much! We are hoping to get the podcast back up and running in the new year!